Food and refreshment service operators need to pay attention to the many areas in which technology is creating new ways to operate their businesses and deliver their services. Three years ago, the International Food & Beverage Technology Association (IFBTA) was formed to provide a forum to allow food industry operators, suppliers, educators and consultants to discuss technology. 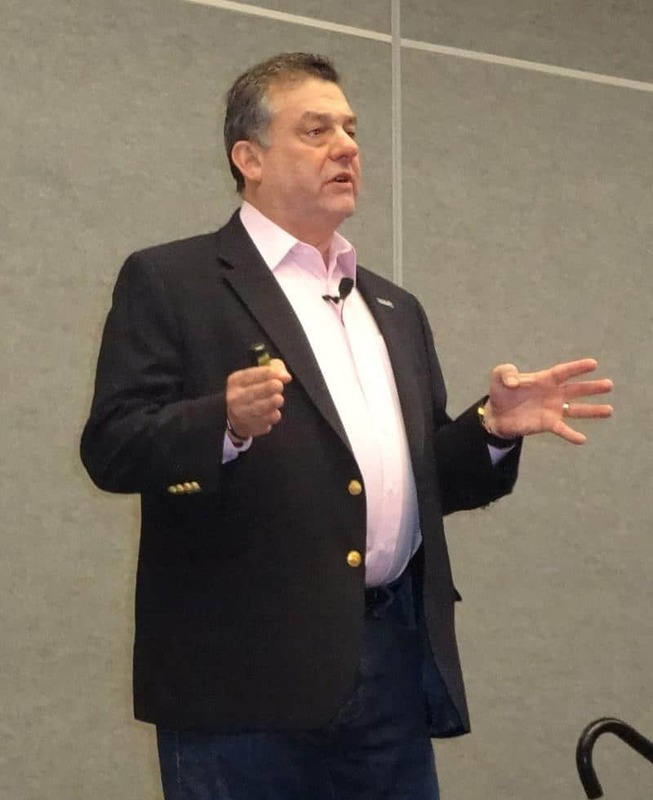 Robert Grimes, the organization’s president and CEO, summarized the different ways technology is changing food and refreshment services at the recent National Automatic Merchandising Association (NAMA) show in Las Vegas. Grimes gave suggestions on how operators can stay up to date on technologies. The three areas in which technology is impacting food and refreshment services are hardware, software and services, Grimes said. These areas include equipment, data management, supply chain, company infrastructure, security and sustainability. Grimes cited Chowbotics Inc., a manufacturer of a robotic machine that can create and serve more than 1,000 types of salads, as an example of new technology that make fresh food preparation more efficient. Another promising technology is 3D printing, which can prepare and serve foods at the point of sale faster and in a smaller footprint. Grimes said it is also important for operators to explore technology in other industries. At this year’s National Retail Federation Show in New York City, for example, he saw temperature controlled pickup lockers which he believes could have application in foodservice. He also saw a mobile robot that assists travelers in airports that could be used in foodservice and hospitality. Mobile apps will also bring new efficiencies to food and refreshment services. Besides providing a better way for customers to order and pay, mobile apps can enable employees to download information to their smartphones instead of using bulky, expensive handheld computers. Grimes predicted blockchain technology will create more efficient product supply chains. Blockchain technology provides a permanent record of an ingredient as it travels from farm to table. It provides farmers, manufacturers, processors, distributors, wholesalers, distributors, operators and consumers a full view of every ingredient’s movement through the supply chain. Grimes encouraged operators to consider what he calls the “seven Cs” of food technology – clarity, convergence, connections, convenience, choice, consumer and commitment. He said clarity is the most important in this list due to the fast growth of technology. It has become necessary to clarify what the word means when discussing it since it now means different things to different people. Technology today can refer to preparation equipment, payment and management tools such as operations, finance and marketing. The expansion of technology into so many different sectors has made it necessary for the different departments within a company to be clear on their definitions. It is important that people are not working in different “silos”. The next most important “C” is convergence. Different departments in an organization have to have a holistic view of technology. Otherwise, they risk making bad decisions on what systems to work with. They need to be able to integrate data across different departments. “Connections” refers to allowing people to keep in touch with each other through social media. “Convenience” refers to enabling customers to access technology. “Choice” refers to the various technologies that are now available. “Consumer” refers to consumer technology that can have business uses. “Commitment” refers to the buy-in that is needed at all levels of the company when new technology is introduced.